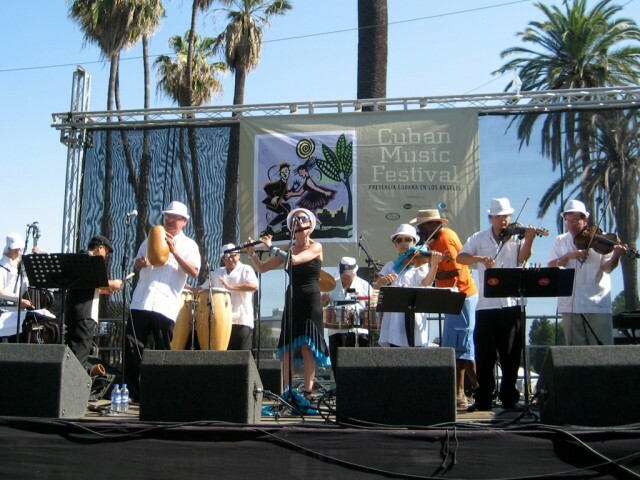 Orquesta Charangoa is one of the World’s most authentic Cuban Dance bands. Founder and professional Flutist, Fay Roberts, traveled to Cuba to study flute with the legendary Richard Egues. Richard Egues, of Orquesta Aragon fame, is the legend who helped Fay hone her skills. 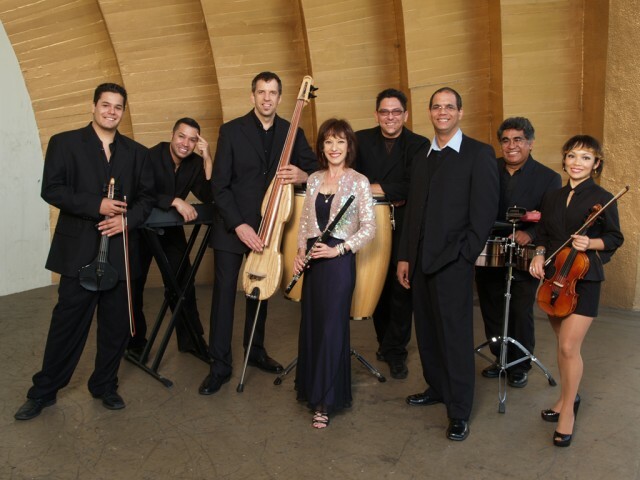 As an innovative virtuoso of the Cuban flute style, Richard sent Fay home with enough music and inspiration to start a new Cuban Charanga Orquestra. Through consistent correspondence, Richard guided the creation of Orchesta Charangoa. 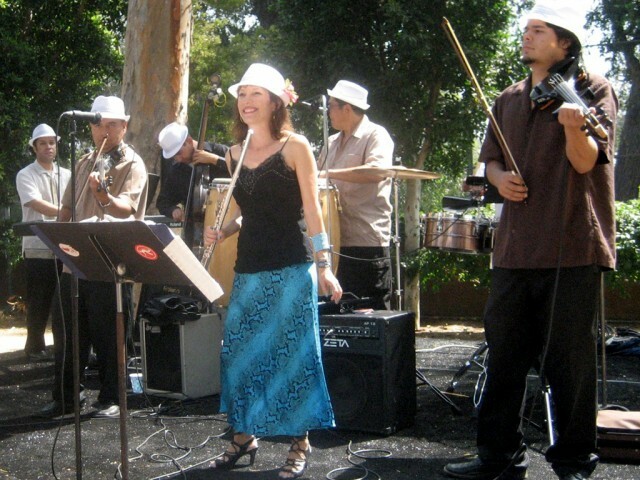 Orchesta Charangoa has performed in some of the top venues in Los Angeles, California. Audiences and critics raved after shows at the Dorothy Chandler Pavilion, the Palladium, the Palace, and the Conga Room. 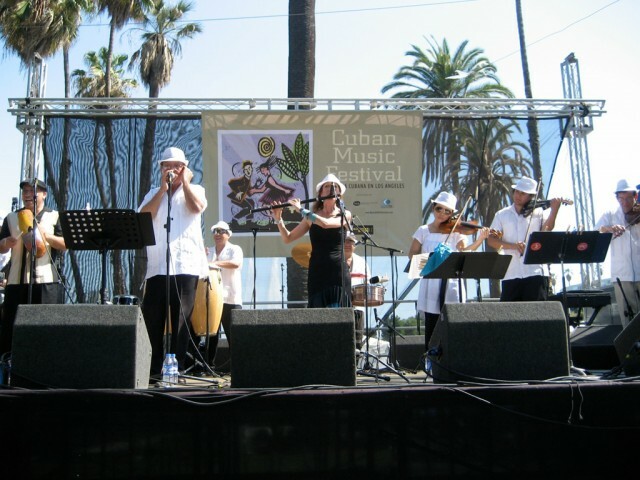 The band has opened for Cuba’s most famous group, “Los Van Van” and has performed with the renowned Israelt Lopez Cachao. Television appearances include KCET’s “Holiday Celebration”, and KTTV’s “Good Day L.A.”. 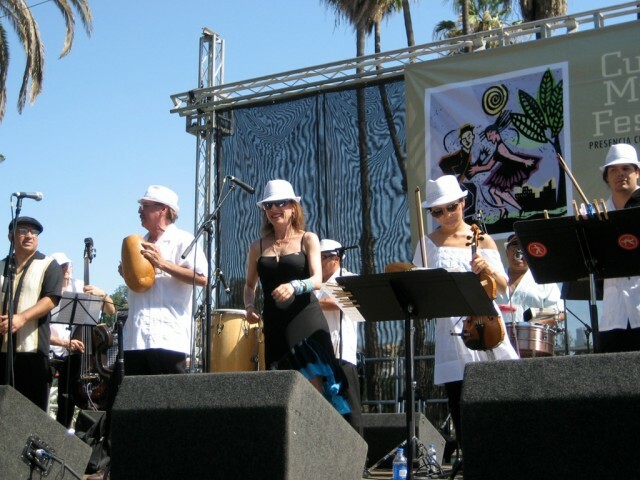 Charangoa has also performed in many festivals, including the Watts Towers Jazz Festival, L.A. Cuban Festival, African Marketplace, and the L.A. Salsa Festival. Fay Roberts is classically trained and holds a Bachelor of Arts degree in music from the University of California at Santa Barbara. She is also the music director at the Braille Institute in LA, where she manages an intensive jazz studies program. Fay emphasizes improvisation, rhythmic concepts and theory in her teaching and is an active member of the National Flute Association. Professional and perfect in every detail, Orchesta Charangoa will light up your venue with great Cuban dance music. Their sound fills the air and gets the audience swaying and dancing. This band is perfect for casino entertainment, music festivals, special events, and large concert halls.